Indonesia’s rapid jump in palm oil production in the past year has caused a glut in the commodity’s global supply. Following market principles, prices tumbled under the intense market pressure, leaving millions of people whose lives depend on palm oil production, processing and distribution to suffer the consequences. President Joko “Jokowi” Widodo’s government has resorted to a number of policies to anticipate and address this problem. One of them is a moratorium on new oil palm concessions, imposing a ban on cultivating oil palm on peatlands, calling on farmers to not plant oil palm in new plantation areas and practicing intercropping on oil palm plantations. The ambitious replanting program introduced in 2018 as part of the government’s efforts to boost productivity and subsequently, national output, has unfortunately failed to reach its target because of land problems as well as lack of funding, knowledge and human capacity. The Indonesian Association of Palm Oil Producers (GAPKI) estimates the 2018 national crude palm oil (CPO) output was 46.17 million tons. It also estimates CPO exports of 34.71 million tons, leaving only 11.46 million tons for domestic consumption. With the highest domestic CPO consumption rate, the country’s food and specialty fats industries is estimated to consume 8.4 million tons in, while its oleochemicals and soap industries may absorb about 845,000 tons of CPO, and about 2.3 million tons are designated for biofuel. This means that the CPO left for domestic consumption would all be absorbed. With CPO production expected to remain stagnant in view of the current glut, the high stock level and low global prices, palm oil exports to our traditional markets do not look too promising. Thus, fresh efforts are needed to find new markets and to boost domestic absorption of the commodity. But how much can domestic CPO consumption grow? The amount of CPO absorbed by the food and specialty fats industries as well as the oleochemicals and soap industries is tightly connected to the population. Since a significant increase in population is not expected anytime soon, the CPO absorption rate is expected to remain stable, if not increase by a slight percentage. Expanding CPO consumption through biofuels is a viable alternative for boosting domestic demand and reducing fuel imports. Indonesia is the world’s top palm oil producer and developing biodiesel as an alternative fuel for diesel engines would greatly support not only energy security, but also economic sufficiency and sustainability in many industries like agriculture, transportation and related sectors. Biodiesel is also a renewable, biodegradable and environmentally friendly fuel when compared to fossil fuel. The government’s mandatory B20 biodiesel program requires around 6.2 million tons of biodiesel this year, according to a recent estimate from Rida Mulyana, the director general for new and renewable energy at the Energy and Mineral Resources Ministry. This means it would need 1.24 million tons of CPO, or 780,000 tons more than the previous year. The government has also said it plans to accelerate the use of diesel fuel with 30 percent biofuel content ( B30 ) in the transportation sector sometime this year, instead of the initially planned 2020. Implementing the B30 program in mid-2019 would further raise the domestic demand for CPO by some 300,000 tons. During the second round of the presidential debates last week, President Jokowi made a surprising statement that Indonesia was moving toward the use of pure CPO, better known as B100, in order to curb the use and import of hydrocarbon fuels. 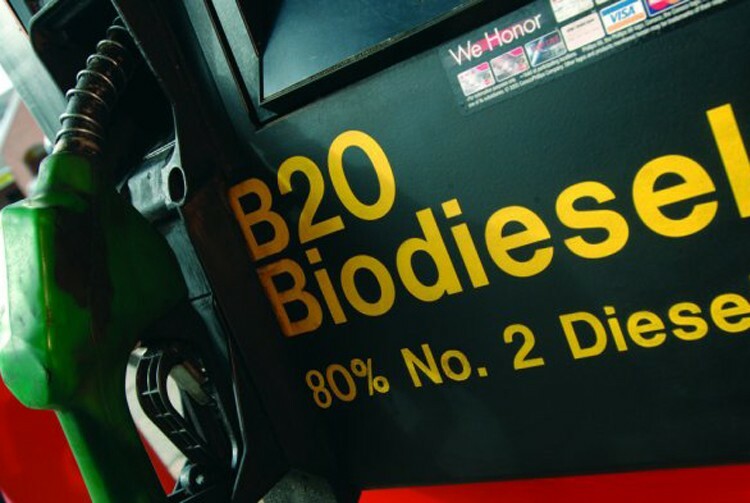 After brief confusion, with critics immediately pointing out that even the current mandatory B20 program was still not running smoothly and that the use of higher biodiesel content could lead to engine problems, it later transpired that the use of B100 fuel was only intended for use in power generators and vehicles. State-owned electricity company PLN has projected that diesel fuel consumption will still reach around 3 million kiloliters this year according to the 2018-2025 PLN Plan, and around 2.5 million liters next year. A trial is ongoing on using B100 to fuel four diesel power plants that produce a combined output of 122 megawatts of electricity. If the trial is continued through the year, this will add another 190,000 kiloliters of diesel oil savings, which equals 67,097 tons of CPO. Imagine how much diesel oil can be substituted with B100, considering that PLN’s total installed capacity is currently 5,889.88 MW: It could raise domestic CPO demand by 3.24 million tons. The opportunity to expand the use of biodiesel, especially B100, also exists in other industries like agriculture, transportation and other sectors that use diesel engines. Last year’s Thai study by Tongchit Suthisripok and Pattawee Semsamran, for example, showed that B100 can be efficiently and effectively used as an alternative fuel for small diesel engines, such as the water aerators, small machinery, pumps and small generators used in the agriculture industry. Considering the importance of palm oil to the Indonesian economy, and that some 50 million people depend on this commodity, including some 17 million workers employed directly and indirectly throughout the palm oil supply chain (according to GAPKI), it is clearly imperative to strengthen CPO production. And this effort must not be dumped solely on the government’s shoulders. Each stakeholder, every one of us, can contribute in our own way to support this endeavor. 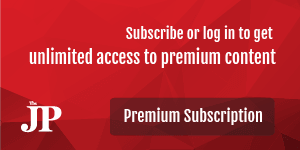 The writer is a content manager at The Palm Scribe, a bilingual online platform for discussion on sustainable palm oil.